These are funny! 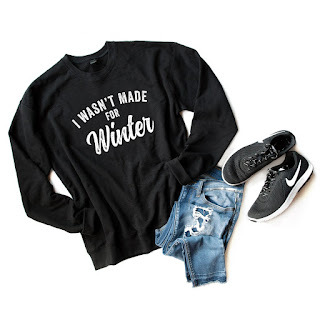 Check out these Too Cold Sweatshirts for $19.99 (Retail $39.99). Winter weather is upon us and we all could use something soft and comfy to help us survive the brutally cold days ahead of us. $4.99 for the first item and $2.99 for each additional item. US only. Ships no later than Wed, Dec 5.